The Anaconda is found mostly in the Amazon River Basin, but it is also located in other parts of South America. It is can be found as far south as Argentina. 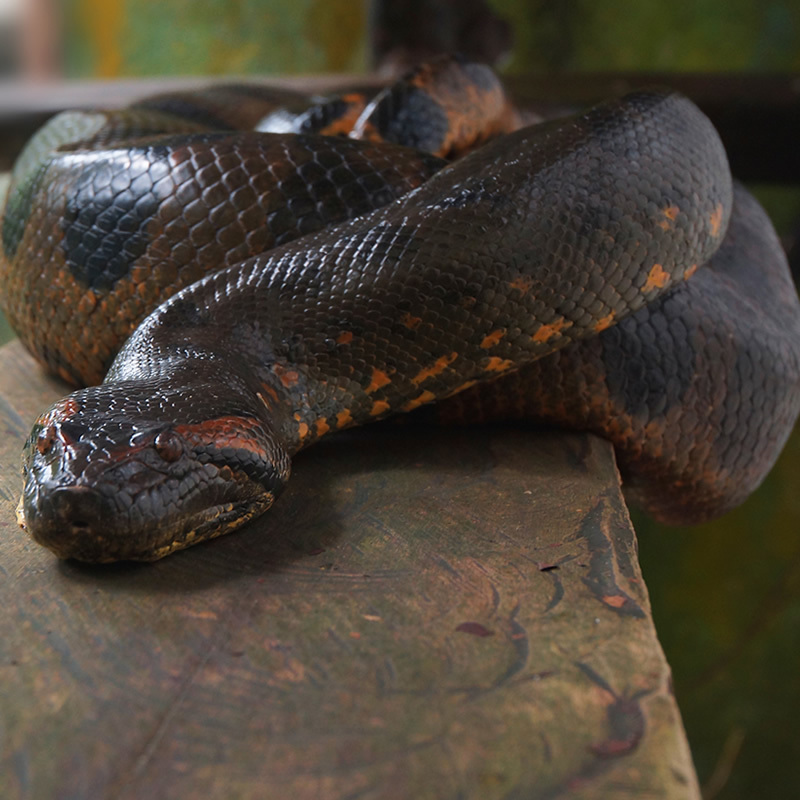 Anacondas' diets consist of rodents, fish, birds, caiman, turtles and even larger mammals if the snake is large enough. Anacondas have a slow-acting digestive system and it can take several weeks or longer for the Anaconda to digest its meal. Anacondas live near the water and swim in the streams and rivers of South America. Anacondas will often hunt by submerging all but its nostrils in the water and then wait for its prey. Anacondas can reach over 37 feet in length. There are reports of larger Anacondas but these reports are unconfirmed. Anacondas bear live young snakes. The life span of the Anaconda can extend from 15 - 30 years.